If you'd have listened to Doug do-as-I-say-not-as-I-do DeMuro, you would've read that buying a vehicle like this luxurious Ranger Rover was akin to financial harakiri - but that would be forgetting the reason that Mr. so-called DeMuro drives one in the first place - it's freaking spectacular. And really, really cheap. This amazing example of a 2006 Range Rover SC HSE is exactly why the term "status symbol" was created. Everything about it is high end, from its adaptive bi-xenon headlights to its multi-zone climate control and responsive, 3-level air suspension. It will baby all day, every day, and even do the heavy lifting in case you want to drive over your nearest volcano on your way back from dealer. 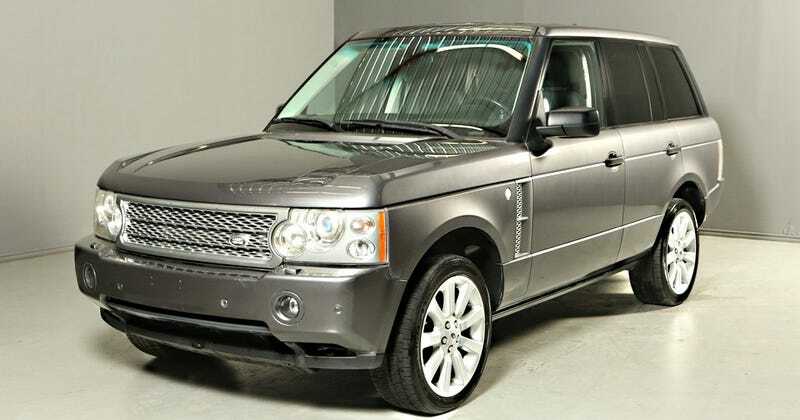 This Range Rover is at the bottom of its depreciation cycle, and looks like new. All the features work without a problem, it has no accidents on any vehicle history report, and looks like it came from the Range Rover factory yesterday, despite one or two small blemishes. It has an optional 4-year, coast to coast, bumper to bumper warranty available, so you can rest easy that for not much more than the asking purchase price, you'll have a car that has its repairs taken care of by qualified specialists. Yes, it is more complex than a Ford Fiesta, and some repairs could take multiple days to sort out, but there's no reason why a well-researched and planned out purchase, with contingencies in place, should be detrimental to your lifestyle and/or bank account. There are risks involved with buying a used vehicle, especially a luxury one, but speaking from experience, the pros far outweigh the cons if you're smart and understand where true value lies. There's a reason why Doug DeMuro drives a Ferrari and Range Rover instead of a Camry, and it isn't because he's a glutton for punishment (well, that's a possibility). It's because these types of cars are head and shoulders above the rest in terms of fit and finish, features, and driver experience. Life is too short to drive boring cars. Do your research and buy something awesome.